Today was the first day of the Movement Exchange Program in Panama! I am a junior at Southern Methodist University in Dallas, TX, and I have never been to South America before- so I have been very excited to spend my Spring Break working and learning about Panamanian culture! Immediately when we landed, we quickly began to explore the country and its distinct culture. This morning, we were on a bus to Colon, the poorest province of Panama. I was struck by the standard of living in Colon- it is unlike anything I have seen in the United States. When we arrived in the village to take the Passa Passa class with some local dancers, we immediately saw the Spanish fort, established hundreds of years ago and a relic of European imperialism. Right next to the fort was a small, brightly colored home, where locals were washing their pig because of the heat! The village had a unique charm, especially when we arrived at the dance studio in the village. Its exterior was decorated with murals and colorful designs, and the inside was small. 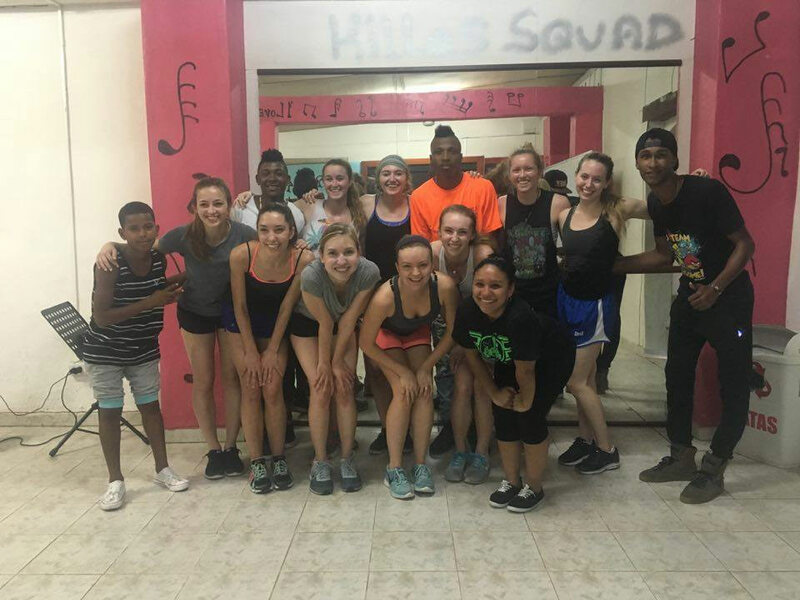 However, all of us immediately felt comfortable and happy to be somewhere familiar: a dance studio! The class itself was the perfect way to begin the program: exploring a new dance style, and from a larger perspective, a new way of life. It felt incredible sharing dance with people who did not speak the same language- it proved how dance is universal, and as Martha Graham, the pioneer of modern dance, would say, “Movement never lies.” Body language is powerful enough to transcend continental divides.